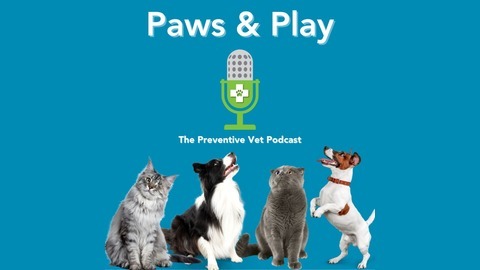 Every other week, Doctor Jason Nicholas (Dr. J) and his co-host Mia will bring you preventive health and safety information for your cats and dogs. Dr. J started Preventive Vet in response to the many heartbreaking, and preventable cases he saw in the veterinary emergency room, and in his work in general practice. Mia is an animal lover, with two fur babies of her own, and will be doing her best to sit in for all of the listeners, and get as much info out of Dr. J as she can. It's the Preventive Vet team's goal to spread as much preventive education and awareness as possible, to avoid suffering, and save lives. After one of Preventive Vet's new staff pups, Mary Berry, had her spay surgery, a lot of us had questions about e-collars. 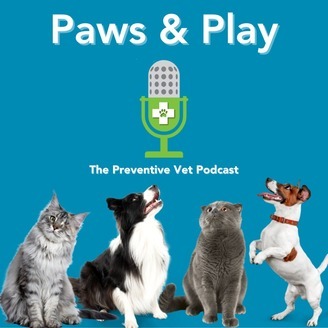 So, Dr. J and Mia discuss a little bit of the history of e-collars, the importance of using them, why the hard plastic collars are the most used and recommended by veterinarians, and tips for desensitizing your dog or cat prior to actually needing to use one - to make things much easier for everyone. What to Expect from Doggie Daycare and is Your Dog a Good Fit?